Tap takeover #11 was welcomed by many guests, both new and old. Jamie, from One Barrel Brewing Company out of Madison, WI was on hand to talk "beer" and what small batch brewing is all about. The crowd favorite was The Commuter, with the keg being drained in the first 2 hours! Customers also enjoyed the wonderful cheese selection, donated by Roelli Cheese Haus. 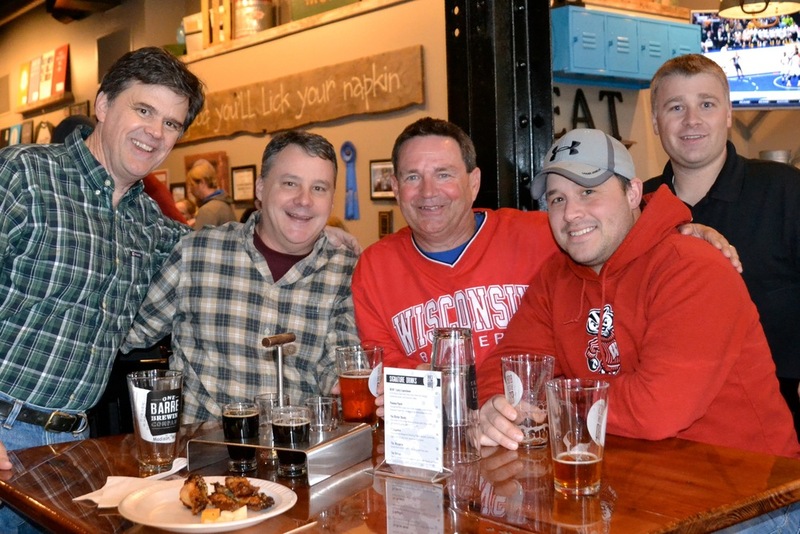 You know you are in heaven/Wisconsin when you can enjoy beer & cheese at the same event!